Click here to return to the main Education Newsletter page for this month! Rosh Hashanah and Yom Kippur often involve going to services, sitting for hours on end, and then going home. But, what if there was more to the experience than just occupying a seat at services? As the High Holidays start off the Jewish year, we make resolutions for the future and apologize for mistakes we may have made in the past. Just as during the rest of the year, we all have different learning styles; this concept is true during these holidays as well. It does not just go away. Everyone has different ways of connecting to the themes of the holidays and understanding it. One great way to incorporate all three learning styles (visual, auditory, and kinesthetic) is to do a field trip or service project with families. The adventure can be an all-day project or something that you community can do in the afternoon (between services). 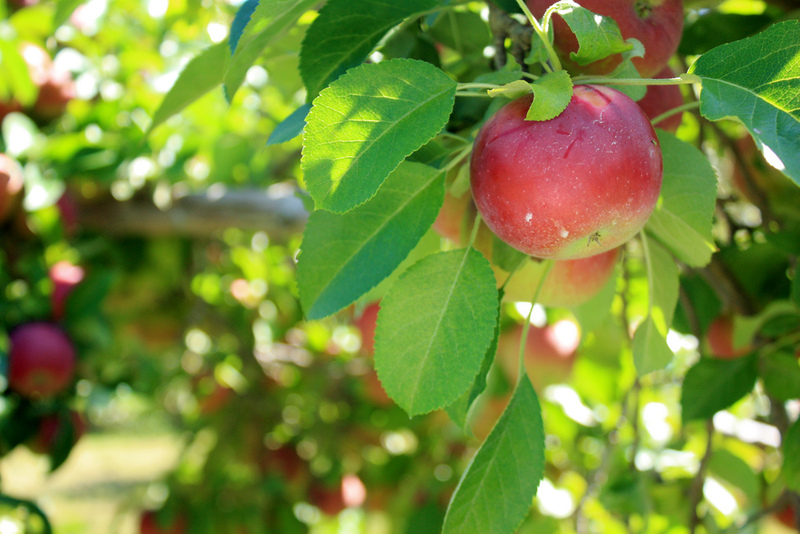 One exciting activity for Rosh Hashanah that gets families active is an apple picking field trip. Rosh Hashanah and apples go hand in hand, and what better way to celebrate the sweetness of the New Year than with freshly picked apples. Families can make applesauce, apple pie, or even just dip their apples in honey! Another, more active, way to kick off the year is a return to nature. Families can pack a picnic to bring along and take a hike through a local or state park nearby. Hikes allow for the stresses and tribulations of the world to be left in the car. This activity gives us an opportunity to see beauty all around us and start the New Year off with a fresh beginning. Ask your Fellow to help you come up with some programming to relate your hike to starting the year with a clean slate. Yom Kippur also opens the door for various service projects, though maybe not quite as active as hiking. While we have a few days a year where we go without eating for religious reasons, one of which being Yom Kippur, there are families all around the world that struggle with lack of food or resources on a daily basis. There are many ways to help out your local shelter or soup kitchen. Give them a call and see what your community can do to help those around you. The concept of fasting can open a whole conversation about food disparity. Use the time between services on Yom Kippur to do an activity either at the synagogue or off site, and help those who go hungry on a regular basis. Use the start of the Jewish year as a jumping point for service projects with your community. If you are interested in exploring how to fit a project in with your individual community, give your Fellow a call!